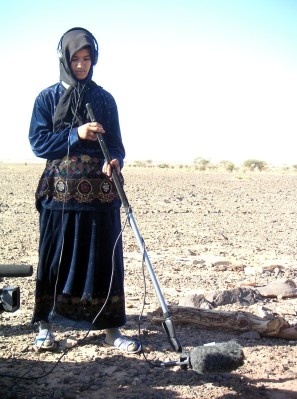 In 2004 Mouth That Roars visited Bayed, in the Moroccan Desert and over a period of six days trained a group of Nomadic young people in filmmaking. Working alongside Yahya Benjlil, a Teacher based in Zagora Morocco, near Bayed, the young people produced �Our Everyday Lives Morocco�. �Our Everyday Lives Bayed, Morocco� takes the audience on a journey through the eyes of the young people as we follow a typical day in their everyday lives. We, the viewer see how they live, the school they attend in the desert and we discover how they feel about their lives and the community around them. 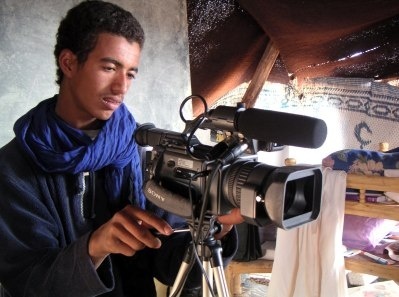 MTR recently gave school children from Zagora near Bayed, disposable cameras and over a 24 hour period they recorded images that reflect their lives, thoughts and feelings. These wonderful images have been produced in a book (available on our merchandise page) and demonstrate the creativity of the young people. 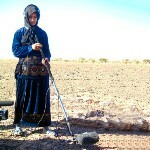 MTR aims to set up a mobile media unit that can tour Moroccan schools and access the young people in the desert. The media unit will give young people access to video, photography and a projector to screen young people�s films and world cinema.